The other week I drew attention to a shocking videoin which a number of Planned Parenthood representatives repeatedly urged university students to ignore the science about when life begins. 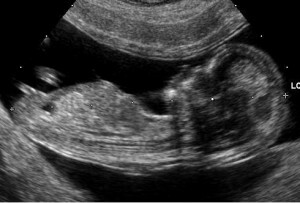 Not only did they suggest that the science has no bearing at all upon the debate about abortion, but they appeared even to cast doubt on the very ability of science to learn for certain key facts about the unborn child — such as when the heartbeat begins. Now comes another video, in which a leading lawmaker, a Representative in the United States House of Representatives, struggles to find a way to describe a bill in Texas that requires doctors to allow women to listen to the heartbeat of their unborn child before deciding to have the child killed through an abortion. Pray tell, Rep. Jackson, what nameless “sounds” were the women allowed to listen to that were so powerful as to change their minds and dissuade them from having an abortion that they “needed”? Was it, perhaps a recording of pro-life propaganda? : something designed by anti-abortion extremists to beat women over the head and fill them with guilt for exercising their “right to choose”? No, Rep. Jackson, it was nothing of the kind. It was the quiet, steady sound of the heart of their unborn child beating. And if that dissuades them from choosing an abortion, it is not because of any propaganda, it is because women are now in full possession of the facts – the facts that abortion extremists like you desperately want to ensure women do not have. I’ve said it once, and I’ll say it again: the pro-abortion ideology depends almost entirely upon euphemism, obscurantism, and meaningless slogans that are carefully crafted to distract from the central question of the abortion debate: is the unborn child human? And watch how slippery this language is! In the famous book about pregnancy, “What to Expect When You are Expecting,” on pages 42 and 43 we find information about prenatal diagnosis. On those pages we are told that in case of fetal abnormalities there are two options: to continue the pregnancy or to terminate the pregnancy. What, then, has become of the baby? Nothing, of course. It’s still right where it was, but it has now been covered over with the cloak of pro-abortion obscurantism. Unfortunately for pro-aborts, the science is abundantly clear: the unborn child is human, and abortion is the brutal killing of that child. Those who wish to deny this, or to justify abortion only have two roads to follow: 1) To obscure the science and pretend it doesn’t exist, which increasingly makes them look silly as more and more people become informed, or; 2) Argue that not all human beings have the right to life, and thus open up Pandora’s box, whereby a certain class of human beings are denied the right to life based upon a set of arbitrary criteria. Now, where have I heard of that second route before?